Wellspring, by Martín Azúa, is an invitation to investigate and understand the natural processes to restore the relationship with the environment. 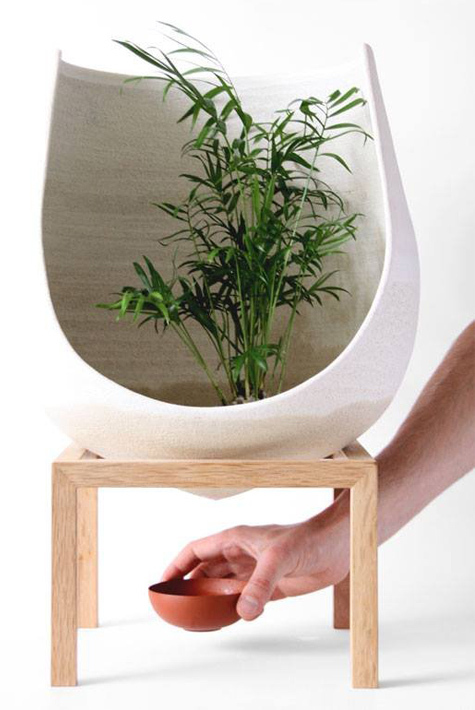 It simulates an ecosystem through soil, rocks and plants, able to recover its natural balance. 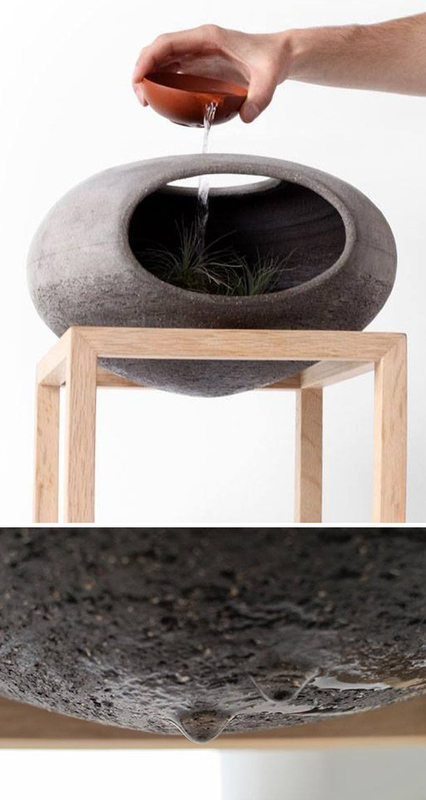 I love not only the form and texture of the vessels but also the passive interaction one has with them.